Simba SPS Standard Steel Needle with a Plastic Shank. 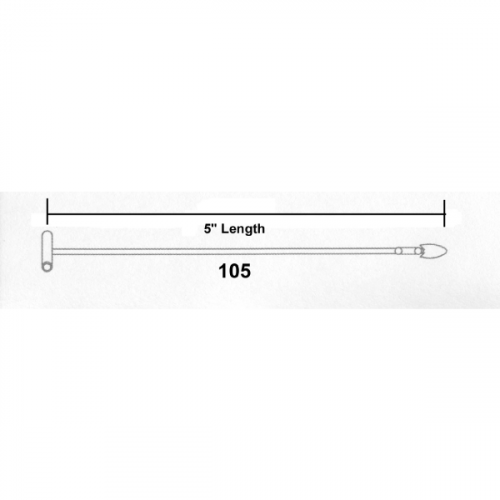 For use in the Standard Micro-Mini (Micro-S) Tagging Tool, Standard Simba (Simba-S) Tagging Tool, and other many other standard tagging tools that utilize a needle with an integrated cutter. The SPS needle is perfect for most general tagging applications, for use in retail and distribution centers, and anywhere a tagging needle with an integrated cutter is needed. 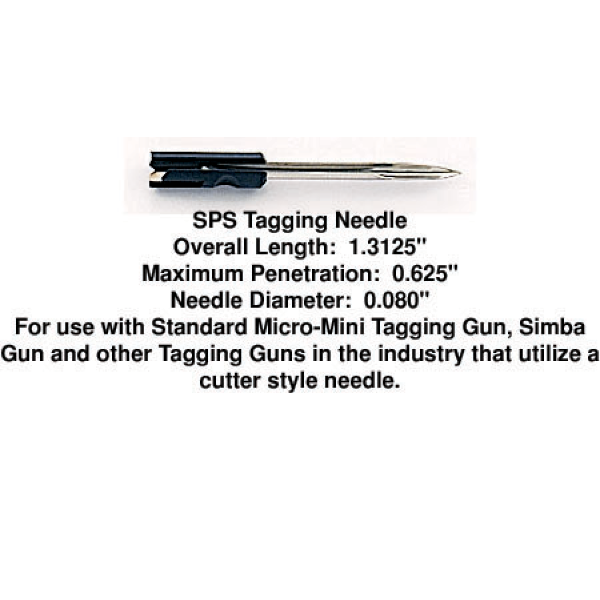 The Simba SPS Standard Tagging Needle is designed for use in the Micro-Mini Standard Tagging ToolStyle #Micro-S, Simba Tagging Gun Style #Simba-S, and other standard tagging tools that utilize a needle with an integrated cutter. SPS needles are packed 4 needles per package.